When it comes to earning revenue online, there are so many different avenues an entrepreneur can take. Unlike brick-and-mortar businesses where merchants are limited to basically just selling physical goods or services, there are some other types of products that online ecommerce merchants can sell which opens up an entirely new world of possibilities. In this article, we’re breaking down all the different aspects of online business models to show you the various ways you can earn revenue online. At every step, there are a variety of choices to be made that will define your company’s overall business model. Your business model is the sum of these decisions, and it outlines how your company exists in the business ecosystem, both online and off. Every business has a business model, whether you explicitly define it or not, but actually taking the time and effort to define your business model at every step can help you make important decisions about your business that will impact its future. If you’re a new entrepreneur just starting your very first business, we highly recommend you walk through each step of the business model process and take time to reflect on which choice will be the best for your business. Some choices will likely come easier than others, but all are important and worth thinking about before you actually get your business started. Walking through these six steps can also help new entrepreneurs learn important aspects of ecommerce that they might not have otherwise known — especially the different ways that exist to earn revenue online. Our goal with this article is to showcase the various ways ecommerce entrepreneurs can earn money online so new entrepreneurs can consider the vast array of options that exist rather than pigeon-holing themselves into one single way to make money online. If you’re a new entrepreneur who wants to understand how to make money online, these steps can help you understand what options are available to you. First things first, business models are defined by what kind of products the company sells. This step is particularly important because it will influence so many steps in the rest of the business building process and also because so many new entrepreneurs don’t fully understand the extent of the options that exist when it comes to deciding what kind of products to sell online. Most new entrepreneurs think of ecommerce as just selling physical products but, in fact, there are so many other types of products you can sell online. Apps (SaaS): Apps on our phones, tablets or computers are products too! This is the product type that most people think of when they think of ecommerce because it has been foundational to the booming ecommerce industry. As shopping habits have moved online, consumers are still very much interested in purchasing the same products that they would normally buy at brick-and-mortar stores, but they’d rather buy them online. That means the demand for physical products still exists, the shopping experience and distribution methods have just changed slightly. Virtually any kind of physical products can be sold online, no matter how big or small. Moving into ecommerce retail has proved especially advantageous for physical products that have niche audiences that are dispersed globally — such as products for left-handed people like scissors — so it has enabled ecommerce businesses to target their consumer demographics more closely without having to worry about whether they’re setting up shop in the right area to sell the most inventory. Physical products can also be sourced in a variety of ways — by making the products, getting them manufactured, acquiring them through wholesale, dropshipping them or private labeling them — which gives entrepreneurs the flexibility to choose the best inventory acquisition method for them. While physical goods are very common for entrepreneurs to sell online, they’re certainly not the only type of product that can be sold online. Digital products such as ebooks, courses, content, media, publications, membership sites, webinars, apps, software, and more are all viable products to sell online. Digital products are an attractive product to sell online because you only need to make it once and then you’re able to sell it over and over again without any more labor or materials put into it. This can provide a lucrative return on investment (ROI) for you if you choose to have digital products made for you by freelancers, contractors or agencies because you just have to have the product made once and you can sell an unlimited amount of products without running out of inventory. This is one of the slightly less commonly thought of products to sell online but entirely possible to sell online, nonetheless. Many services are sold online such as consulting, coaching, virtual assistant services, web design and development, writing, social media management, photo and video editing, and more. This is a great option for entrepreneurs who have a specific skill set they’re able to provide other people or businesses, or for people who have experience and qualifications in a particular industry and can offer their expertise to others. Pretty much any kind of service is offered online these days so really, the sky’s the limit. Another product type that exists which many new entrepreneurs might not even think to consider are apps or Software as a Service (SaaS). This isn’t an area of ecommerce that we have a lot of experience in because it does require a special kind of skill set but we just wanted to mention it in this list to give the full lay of the land when it comes to the different product types that exist. If creating apps or SaaS is something you’re interested in or want to learn more about, we highly recommend researching it thoroughly and learning from companies or agencies that make your favorite apps or apps that exist within your niche. Marketplaces are something that most of us are pretty familiar with, however, not many new entrepreneurs know how to define marketplaces or put them into action from an entrepreneurial standpoint. If you’ve ever shopped on Amazon before then you’ve shopped on a marketplace, and marketplaces are certainly a way to sell products and earn revenue online. We have an entire article dedicated to how to start an online marketplace, so if that’s what you’re interested in then we highly suggest checking it out. You’ll learn valuable information like how to actually create an online marketplace (they can be custom-built or built on ShareTribe), the different types of online marketplaces that can be created, and the different marketplace business models that exist. Commission-Based Business Model: This is the most common type of online marketplace business model and means that you will earn a commission from every transaction that takes place on your online marketplace. It’s an ideal business model because you’re guaranteed to earn revenue from each transaction and it builds trust within merchants and customers because they know that facilitating successful transactions is important to you because you have a stake invested in it. Membership/Subscription Fee Business Model: This business model sets up your online marketplace so that each merchant or customer pays a membership fee in order to sell or buy on the online marketplace. Using this business model ensures that you get a consistent amount of revenue monthly but it can also deter merchants and customers from using your online marketplace. Listing Fee Business Model: By using this business model your online marketplace will charge merchants a fee for listing their good or service on your online marketplace. The listing fee could be based on a flat rate amount or a percentage of the value of the good or service, and it’s typically used when there’s value in how many listings a merchant has posted on the online marketplace. Lead Fee Business Model: This business model is more common in Business-to-Business (B2B) industries, as there’s often a lot of value at stake. When using this business model, the customer posts a good or service they’re looking for and merchants pay a fee in order to bid for the work. This isn’t a very common online marketplace business model, but it can work well for some industries. Freemium Business Model: This is a great business model for online marketplaces that facilitate sales of low-cost items. 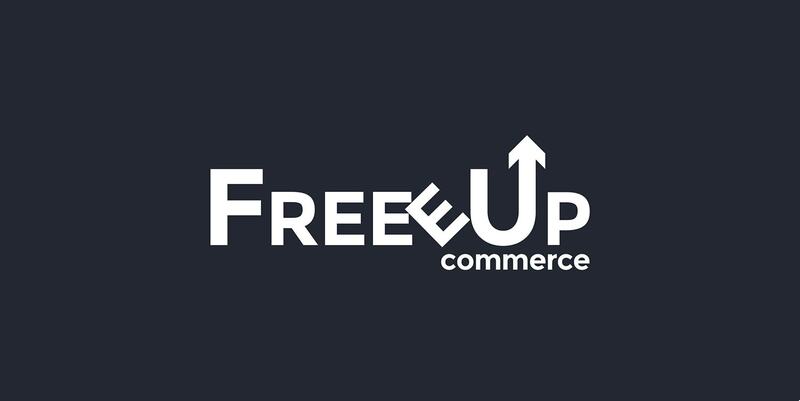 When using this business model, merchants and customers can use the online marketplace for free, and the online marketplace will offer other services to the merchants and customers can purchase that boost the value of the online marketplace. These types of services could include providing insurance, vetting services or delivery options. Featured Listing & Ads Business Model: When using this business model, merchants can often list their good or service for free on an online marketplace but in order to promote their listing to a viable audience, a fee must be paid. This ensures merchants use the marketplace but the online marketplace can still earn revenue from merchants who are eager to sell their goods or services. Any Combination of These Business Models: Oftentimes, these business models are combined together to create more favorable conditions for merchants to sell their products and for online marketplaces to earn consistent revenue. One of the final ways you can earn revenue online is by being an affiliate. Being an affiliate means that you essentially earn commission on any sales that you encourage consumers to make, much like salespeople in brick-and-mortar stores earn commission from the sales that they encourage customers to make. In the online world, it’s possible to be an affiliate of pretty much anything, be it physical products, digital products, services, apps, and/or marketplaces as long as the company has an affiliate program. The possibilities are endless, and many people earn money online just by earning affiliate revenue from different companies all around the web. It’s a huge industry and one that can be utilized in so many different ways. Many times you’ll see affiliate links or affiliate promotion codes being used by social media influencers, content creators, and media websites like blogs or YouTube channels, but entrepreneurs also build entire stores around affiliate links. Take Canopy, for example. They curate their favorite Amazon products on their website but they don’t actually stock Amazon products. They simply list the products on their site and when visitors click through from their site to make a purchase on Amazon, Canopy receives a cut of the sale. Important: Affiliate programs change all the time — terms and conditions get updated, commission percentages are subject to change, and affiliate programs can even be removed permanently — so it’s important to take caution building your entire business model around one or a few affiliate programs in case they change. All that affiliate revenue could disappear overnight, so think carefully about putting all your eggs in one basket. Part of how you earn revenue as an ecommerce store is dependant on who you’re selling to. It will impact your business model overall because it’s where your revenue will be coming from, it’s who you’ll target your marketing campaigns towards, and it’ll likely also be an indicator of where you’re sourcing your products from. There are some other markets that exist — like C2C, where consumers sell directly to other consumers, usually through marketplaces like eBay — but the three markets listed above are likely going to be your main options when determining who you’re going to sell to online. B2C is probably the most common option out of the three and it’s typically the option that most ecommerce stores choose. It means you’ll be selling directly to consumers where there’s a wide variety of different niches and audiences to target, leaving ample options for you to draw revenue in from. On the other hand, if you’re going to be targeting B2B or B2G markets, it will influence the types of products you sell and where you source your products from. There’s generally a more specific kind of demand from the B2B or B2G markets so not all products will be a good fit, and when you’re supplying products to those markets, not all inventory acquisition methods will be a good fit either, like dropshipping or wholesale. We discuss more about those two inventory acquisition business models in the next section but essentially they aren’t a good fit to source B2B and B2G products from because, in most cases, those markets typically source products straight from a supplier rather than sourcing products through middlemen like wholesalers or dropshippers because it’s more time and cost efficient. 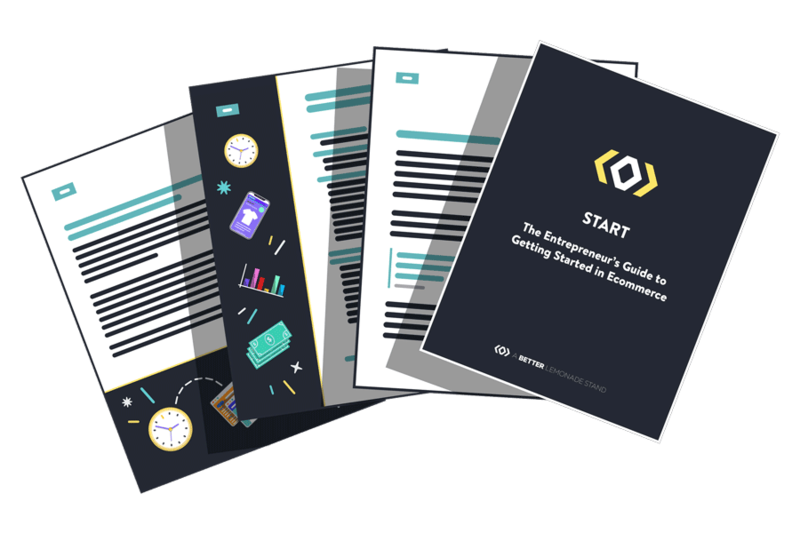 Bonus: If you’re a total beginner to ecommerce and want to learn more about what it takes to start your own ecommerce business, check out our START Guide. It’s completely free, so you have nothing to lose to get yourself started on your own entrepreneurial journey. Finding the perfect product to sell online isn’t the only part of your business that takes major consideration before you actually start building your business. One of the other main components to think about is how you’re actually going to acquire your products because it will play a big role in many other areas of your business. There are a variety of different ways you can acquire inventory for your online store and whichever option you choose will have an impact on your revenue and profit margins. A lot of businesses start out by simply making their own products. Any type of business ranging from apparel, accessories, art, jewelry, homewares, food and beauty products are all possible to make at home and plenty of entrepreneurs start this way. Making products is an attractive start for a business because it gives the entrepreneur full control over the product type, selection, and quality, and often times the price of creating the product is lower, the quantity of products is managed by the entrepreneur and not by external factors, and many people possess skills that enable them to create sellable products from home. Making products does come with limitations — specifically time and scalability. Making products takes time and growing a business that sells handmade products is much more time, cost, and labor intensive than scaling businesses that operate by other business models. Making products is also best for the entrepreneur who has a specific skill set and is able to create, produce, and fix handmade items, and possesses the ideas and resources to turn handmade items into a business. Making products is also ideal for businesses that want full control of their branding and want to maintain specific quality control levels. Making products also doesn’t have to pertain to handmade physical goods as it can also refer to digital goods as well. Individuals who want to make digital goods to sell online also need to have the ability to create, produce, and troubleshoot digital products and likely require a specific skill set whether it be the knowledge or expertise to create a course or ebook, or even development skills, programming abilities, design work, etc. Digital goods — unlike handmade physical goods — are a more scalable option because they just need to be created once and then can be sold to an unlimited number of customers whereas handmade physical goods need to be made for every order. The profit margins for making products are generally high because you have the ability to control the price of the raw materials to a degree, depending on your business. What starts to eat into the profit margins, however, is the time and labor it takes to make products as it typically takes a fair amount of time for businesses to make products themselves. The second method for sourcing your products is through manufacturing. Manufacturing is an ideal option if your product doesn’t already exist or if your product does exist but you want to brand it as your own. Manufacturing is also the best method for businesses that don’t have the ability to make their own products, they need to make a lot of products, or they want the ability to scale easily if and when demand for their products increases. Another type of manufacturing is known as private label and it falls under the manufacturing umbrella because you don’t actually make a completely bespoke product, instead you work with a manufacturer who already makes a product you’re looking to sell and you negotiate with them to make a few small adjustments to the product to make it your own and then you put your own branding on the product. Alternatively, you could white label products from a manufacturer which is very similar to private labeling products except you don’t make any adjustments to the product, you simply just put your own branding on the manufacturer’s product and call it your own. While white labeling might be an easy way to source manufactured products, it leaves your business open to the possibility of selling the same products as other businesses who white label from the same manufacturer, so consider whether that might be a huge disadvantage to your business or not. You have total brand control over how the product looks, the logos you use, packaging, etc. Could potentially be time-consuming depending on how many samples you choose to make, the manufacturer’s schedule, their turnaround time, etc. Manufacturing products typically leads to big profit margins as long as you’re sourcing directly from the manufacturer. They’re typically able to access raw materials at a very low price and even after placing their own markup on your order there will usually still be plenty of room for your own profit. Margins may, however, depend on whether you’re manufacturing your products overseas or domestically, but not necessarily. Manufacturing products overseas generally enables businesses to have larger profit margins as the cost of labor and materials is less expensive than domestic manufacturing. Manufacturing products is the highest risk option out of the four business models because it’s costly, the cost is required upfront, minimum order quantities must be met, communicating effectively with manufacturers is imperative to get the product produced correctly, and fraud is possible, especially when sourcing from overseas. By sourcing products through a wholesale business model, your business purchases inventory from another business at a discounted rate and you sell the products to your customers at a markup that’s usually designated by your wholesaler. Wholesalers are a middleman supplier of manufactured goods which you sell at a higher price than you purchased in order to make a profit. By wholesaling products, you don’t handle the making or manufacturing of the product at all, you simply purchase inventory and sell it as is. Sometimes wholesale goods are big name-brands, but not always. Wholesaling is a much different business model than manufacturing or making because you don’t have any input into what the products look like or how they function; they come pre-made. You also don’t have to worry if there’s a validated market to sell the products to because the reason the product is being provided by a wholesaler in the first place is because there’s already demand for it. Another difference between wholesale and manufactured goods is that wholesale goods generally have a lower minimum order quantity meaning that businesses incur a smaller upfront cost to purchase the inventory. Businesses are also less likely to experience issues with fraud when obtaining products through a wholesaler as opposed to through a manufacturer. Through the wholesale business model, profit margins will be lower than if you were to manufacture the products yourself because you’re working through a middleman. The wholesaler obtains the products from a manufacturer, puts a markup on them to sell, and then when you buy them you’re buying them at their markup which leaves even less room for your own markup. This is especially true for products that are subject to strict price control where they can’t be sold for more than a certain price to maintain consistency across all stores they’re sold in. Typically wholesale margins are around 50%. Wholesale is a low-risk business model because there are typically lower upfront costs required compared to manufacturing, the products are already validated and in-demand and there’s less risk of fraud compared to manufacturing. 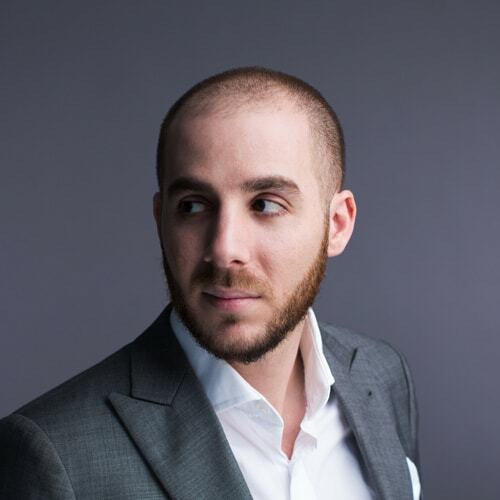 The biggest risk when it comes to wholesaling is the difficulty of differentiating your brand from others when you can’t brand the products yourself, and you’ll also have slim profit margins to work with when it comes to acquiring customers. Drop shipping is both a sourcing and fulfillment business model where the retailer (you) never actually owns the inventory you’re selling. Instead, you’re acting as a middleman that sells the goods on your own website and when you receive an order, you pass that order onto the drop shipping company for them to pick, pack, and fulfill. Your profit is the difference between what you charge your customers on your website and what the drop shipping company charges you. The biggest benefit of drop shipping is the very low startup costs and the ability to offer a large selection of products without purchasing inventory upfront or managing any inventory. Drop shipping can also be a great tool to help diversify your inventory and test new products since it’s just a matter of adding the new product to your store. You can work with one manufacturer and just sell their products exclusively, or you can work with a dropshipping aggregator and sell products from many different suppliers. Dropshipping margins are the lowest out of the four business models because your business is the final point of contact in the supply chain before selling to consumers. Since you’re sourcing products from a supplier who’s responsible not only for supplying the product to you but also for fulfilling and shipping the order, lots of work on their part means lower margins for you. Typically dropshipping profit margins are around 20%. In terms of financial investment, inventory, potential fraud, and market validation, dropshipping is a very low-risk business model. It’s the easiest business model for entrepreneurs who have limited startup funds and experience to start building their own business as someone else is responsible for sourcing, fulfilling, and shipping products which are sometimes the trickiest aspects to learn when it comes to building a business. The major risks when it comes to dropshipping are the slim profit margins which will restrict your ability to acquire new customers through advertising and other methods, and you’ll need to sell many units to make enough revenue to cover your business’ costs. Risk also comes in the form of differentiation, as it will be more difficult for you to differentiate your business from others as it’s an accessible business model for many entrepreneurs. The next step in the process of defining your business model is to decide where you’re going to sell your products online. This step is important because each option has different advantages and disadvantages that will have an impact on the revenue you earn and the profit you keep. Branded Online Store: This is an ideal option because you own your online store which means you make the decisions and control what goes on and doesn’t go on in your store. Think of your branded store as a “boutique” where you get to choose what your store looks like, you get to choose where your boutique is located, and you get to determine your opening hours. The disadvantages of owning your own branded store are that you’ll have to do a lot of work to drive traffic to your store because no one else is going to do it for you. Marketplaces: If branded online stores are like boutiques, marketplaces are like shopping malls. Shopping malls have a bunch of different stores and attractions in them that bring traffic to the mall, which means every store in the mall benefits. The downside to shopping malls, however, is that they dictate things like what your store can look like, where your store is located, and also what your opening hours are. You have to play by their rules and if you don’t, they have the power to get rid of your store. Affiliates: If affiliates are part of your business model and you plan on earning revenue through affiliate programs you’re going to have to put some thought into where you’re going to market your affiliate links and promo codes. You’re going to be the one earning revenue off of the affiliate programs, so you’re going to have to do the work to get consumers to purchase through your affiliate links. You can use affiliate links on blogs, websites, video content, social media platforms and more, so take time to consider how and where you’ll put your affiliate links and what content you’ll need to create to get consumers to purchase products through your links. You can also sell your products and earn revenue online through a variety of these options, so you don’t necessarily have to limit yourself to just one. You can have your own branded ecommerce store plus you can sell on marketplaces like Amazon, Etsy or eBay if you meet their criteria and you can also even sign up to affiliate programs to promote affiliate products in your niche or you could even set up an affiliate program for your online store so affiliates will promote your product to their audience! There really is no limit and, in fact, diversifying your sales channels is a smart business and financial move for yourself because it means your eggs aren’t all in one basket which means revenue comes in from multiple sources and if a revenue stream ever goes down, you won’t be left in the lurch. How you compete for consumer attention from other brands will ultimately impact the basis of how you intend to earn revenue for your online store. Each of these options will influence various choices for your business such as how you price your products, how you position your brand, the importance of your company’s influence, your marketing direction, the target audience you focus your efforts on, how you make your products, your markup and so much more. These are all different ways you can optimize your business model to have more revenue-earning potential, which is important to take into consideration when you’re starting your ecommerce business. Finally, once you’ve decided on all the other aspects of your business model, your last decision is to consider which of the avenues you’ll utilize to actually bring revenue into your business. There are a few different options to consider here, some of which many new entrepreneurs might not know exist. Other businesses, however, might only be able to earn revenue through one or two of these options, just depending on what makes the most sense for their specific business model. One-Time Purchases: This is the most traditional method and it’s pretty simple — you earn revenue every time a customer purchases a product from your store. Using this method, customers come to your store, purchase a product or products, then leave. Subscription Purchases: This method is unique because it gives customers the option to subscribe to regularly occurring purchases whether they’re buying physical products, digital products, services, or anything else. This is a highly lucrative revenue stream because it means revenue is consistently coming in on an ongoing basis which increases your cash flow as a business and gives you an indication into your future revenue earnings. Affiliate Commission: Earn revenue by promoting affiliates. You have to do the legwork to get consumers to purchase through your link, but promoting affiliate programs consistently can create a steady income stream for you if you have the audience traffic to supply to it. Memberships: Create a product that consumers sign up to be a member of, where they have to pay a monthly or yearly fee to be a part of. This is similar to the subscription revenue model in that it can be highly lucrative as you create a consistent stream of revenue coming in while also having an idea of what your future revenue earnings will be. This is a particularly great revenue model for digital services but really, it can be used for anything. Advertising: This is a great revenue model for businesses that offer “free” products or services online (like blogs or video content) so it’s great for people or brands with audiences. There are so many different types of advertising options that exist depending on the way it gets displayed to the audience (is it in a blog post, in a video, in an ebook, in an email, etc.?) so as long as there’s an audience, then there’s someone to advertise to. Take these options into serious consideration, and even think about where there’s potential to mix and match these different revenue streams to create a combination that works best for your business. Many businesses use a couple or a few of these options to earn revenue, while others just stick to the one method that suits them best. There you have the six steps to creating a well-rounded business model that earns revenue online. There are so many different ways to earn revenue online, some more commonly understood than others, so we hope you’ve learned something new about earning revenue online and the potential that exists.